In today’s knowledge-driven economy, 25 to 45 percent of the workforce is made up of people who work with knowledge and information. The knowledge economy depends on our ability to rapidly analyze, recombine and add to existing information. KM helps make sure that we don’t waste time digging up existing knowledge, which can decrease organizational efficiency by more than 12%. Also, without proper KM practices in place, organizations risk losing up to 90% of knowledge due to an employee transition. So what are the three essential elements needed to manage knowledge flow, and what is the role of the Knowledge Manager? Though a small part of the KM equation, tech tools are probably the most visible aspect of KM. Technical tools and digital platforms enable people to connect with each other, to document processes and to house information. Wikis, blogs, databases, project management portals, and a bevy of cloud-based collaboration tools are all designed to help avoid the perils of email overload and/or losing information into the ether. Newer technology like data mining and visualization techniques are opening up new avenues of information and knowledge that were previously inaccessible to the average knowledge worker. But just like agricultural or industrial tools, every KM tool has its appropriate use and can end up causing frustration or decreased productivity if it is used incorrectly. A Knowledge Manager should understand which tool is the right one to tackle a particular KM problem — or if it is appropriate to use a technology-based tool at all. Have you ever completed a project and thought to yourself, “Wow, I wish ALL our projects could be as successful as this one!” KM processes such as “After Action Reviews” and peer assists help practitioners share what works and learn from each others’ mistakes. Taking a reflective step back from the hustle and bustle to assess how things went, and how things can be improved, is a great process to incorporate into your workflow, and can eventually lead to another KM stalwart: the best practice. The act of making a checklist is a simple yet proven KM technique to ensure that standards are met and procedures are followed. After all, checklists save lives. Once KM processes are in place, knowledge managers are responsible for ensuring that the they are being followed and relevant to workers needs. Processes should not be ossified, confining structures that limit the creativity of workers, but should instead evolve with a changing understanding of their utility. In the end, KM is all about making sure that people have access to the right information and knowledge. People are both the source of and destination for knowledge, so building out an active community is the key to any successful KM project. Sometimes that literally means getting folks in a room together to share their experiences, but it often also means setting up virtual spaces for them to do the same. A Knowledge Manager’s role in their community is to first understand who knows what and where to facilitate the knowledge exchange, either through a knowledge audit or a social network analysis. Next, they can attempt to connect the dots by hosting process or technology-based knowledge sharing activities. A sense of trust amongst participants is fundamental to any knowledge sharing amongst participants, and a Knowledge Manager should always be focused on creating a welcoming and supportive space for people to share. The good thing about KM is that you’re probably already following some of its principles, you just didn’t know you were. There are also a number of guides out there that can help you dip your toes into the KM waters. Or better yet, you can join me and other KM experts in TechChange’s Introduction to Knowledge Management course to start creating a KM culture at your organization. Marisol Pierce-Quinonez is a Community & Knowledge Management Consultant in support of the World Bank’s SecureNutrition Platform. 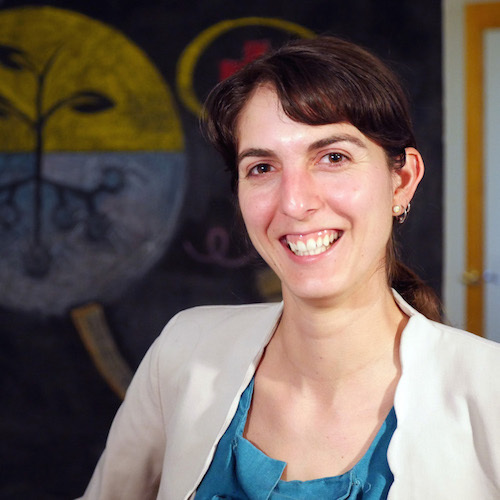 Prior to joining the World Bank, Mari was a Knowledge Management Specialist in support of USAID’s Bureau for Food Security, and worked for several nonprofits in New England dedicated to bringing people together to share knowledge and collaboratively improve the domestic food system. She will be facilitating TechChange’s Introduction to Knowledge Management online certificate course. Thanks for your comment, JC! I agree, tech is not the most important component of KM – the most important is to develop a culture of people willing to incorporate KM principles into their work. Like I said in the blog, sometimes that takes place through technology, and sometimes it doesn’t! Thanks too, for the link to your blog. Cheers!